HOUSTON (KTRK) -- Don't get caught in the crowds on Super Bowl Sunday! Use the recipes to whip up some of your favorite bar food at home, or have it delivered to you! Check out "Ninfa's Famous Fajita Burger," a mashup of an all-American favorite with the classic fajitas from the Original Ninfa's on Navigation. Or you can try some of the savory sauce recipes from PDQ. The restaurant chain is known for its chicken tenders, but you can use their sauces to dip anything, including chips or veggies. UberEATS is partnering with Brewingz, on Sunday, February 7th to deliver free wings to your doorstep! 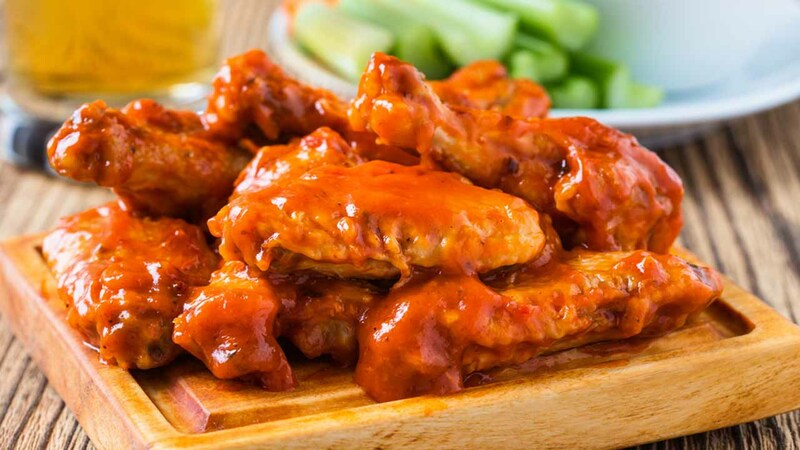 You can order a free 12-pack of Sriracha Orange chicken wings to get your party started. Sunday only, open up the UberEATS app between 4pm and 7pm to have Houston's best wings delivered for FREE in minutes. Request Wings on Demand in Montrose, The Heights, Downtown, Midtown, Rice, West U, Upper Kirby, and the Galleria. 1. Open your Uber app between 4pm and 7pm this Sunday. 2. Click the UberEATS fork and plate icon on the top bar. 3. Select 1 order of the Sriracha Orange wings and proceed to checkout. 4. UberEATS will deliver a free 8-pack of wings curbside!